Opposition groups in Chile have presented a proposal to Congress in a bid to legalise abortion until week 14 of gestation. 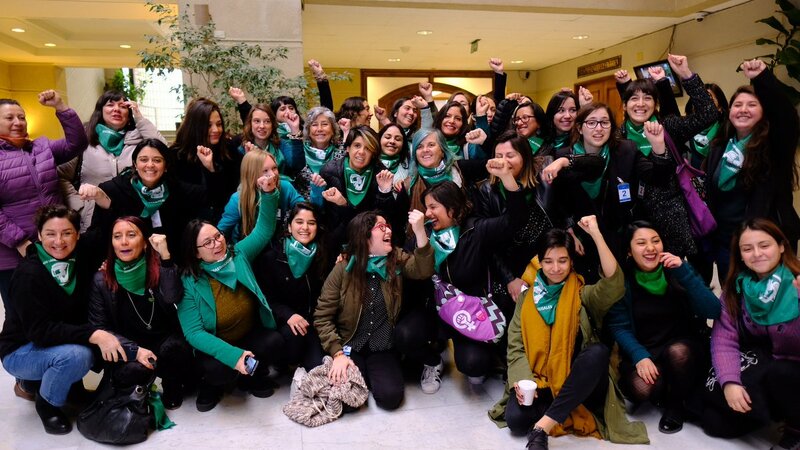 The proposal was written up by Corporacion Humanas (Human Corporation) and the Mesa de Acción por el Aborto (Board for Action for Abortion) and has been a while in the creation. Conversations regarding the potential legalisation of the controversial topic began in December last year, reported El Mostrador. In March, negotiations began in earnest with MPs of the Frente Amplio, the Democracy Party (PPD) the Progressive Part (PRO), the Communist party and the Socialist Party. The project looks to modify articles 342, 344, and 345, Article 342 states that a woman is punishable by law for carrying out an abortion, consenting to someone else doing it for her. 344 writes that an individual who causes an abortion, even if it is accidental, is also punishable for three to five years. A higher degree of punishment applies if a doctor “abuses his post” and carries out an abortion, according to article 345. “The reality is that beyond the law, women have abortions in illegal, stigmatizing conditions that pose a risk to their lives, health, and personal liberty,” argued Camila Maturana, a lawyer for Corporacion Humanas. TeleSur reported that Maturana highlighted that the proposal is an invitation for everyone to debate the rights of women and girls. However, despite the impetus provided by Argentina’s recent abortion debate, Chile’s law proposal is going to be an uphill struggle. Until last year, Chile had some of the most restrictive abortion regulations, making it completely illegal in all situations. In 2017 it was revised to allow abortions in three cases; if the mother’s life is in danger, if a foetus is not viable outside of the womb, and if the woman is raped. Additionally, conservative President Sebastián Piñera has openly stated that he will oppose the legalisation of abortion by any constitutional means. When he came to office in March of this year, he rolled back recent abortion legislation, allowing private clinics to refuse the provision of abortions on the grounds of conscientious objectivism. Just last week he approved the Mortinato Law, creating a civil registry for foetuses from the age of seven weeks, when the child is between 12 to 14 milimetres long and weighs less than a gram. The law allows parents to assign a name to their unborn child, which awards them the right to be buried under a gravestone with their name on it. Although the future doesn’t look bright for this new proposal, it is an opportunity to open the debate and raise awareness for all members of the society, just as it has in neighbouring Argentina.